Composting is a meaningful spiritual exercise for me. The process of making my own compost for the garden out of materials that would otherwise have gone to the landfill conveys an important truth of spiritual importance that is somewhat difficult to convey in words. It means many things at once that seem disconnected but which are all interrelated in important ways. Everything is important and valuable. Humans can’t use every part of a plant or an animal. While it’s certainly ideal to use every part of Nature that you’ve gathered or hunted, there are parts that we can’t eat or have no direct use for. We can’t eat avocado peels because we would have trouble digesting them. Apple seeds contain poison to stop us from eating them. We can’t physically eat the bones from the animals we kill (though we can certainly make nutritious bone broth from them first).Nonetheless, those items that are waste for humans are important parts of the ecosystem for other species. Bacteria and fungi transmute those waste materials into nutritious humus that help plants grow strong without the need for artificial fertilizers. Those plants in turn make food, herbs, and fiber that we will use again. Death is merely a continuation of the processes of life. Even if our consciousness is tied to the body we currently inhabit and the afterlife doesn’t actually exist, in a poetic sense, we have eternal life. The chemicals that make up our bodies just change form and return to the earth. Our water rejoins the water cycle. We feed the plants and the insects. They feed our descendents. The earth keeps turning, and the sun keeps shining. Every part of us is recycled back into the system without waste. We are one node in a complex and constantly shifting system of life that has been ongoing for billions of years. Our culture promotes and even idolizes waste. When things are covered in plastic, we consider them clean and safe. We prefer single serving items in disposable containers over buying things in bulk. We would rather drive to the coffee shop and get our coffee in a disposable cup than actually make our coffee at home, using only water from the tap. 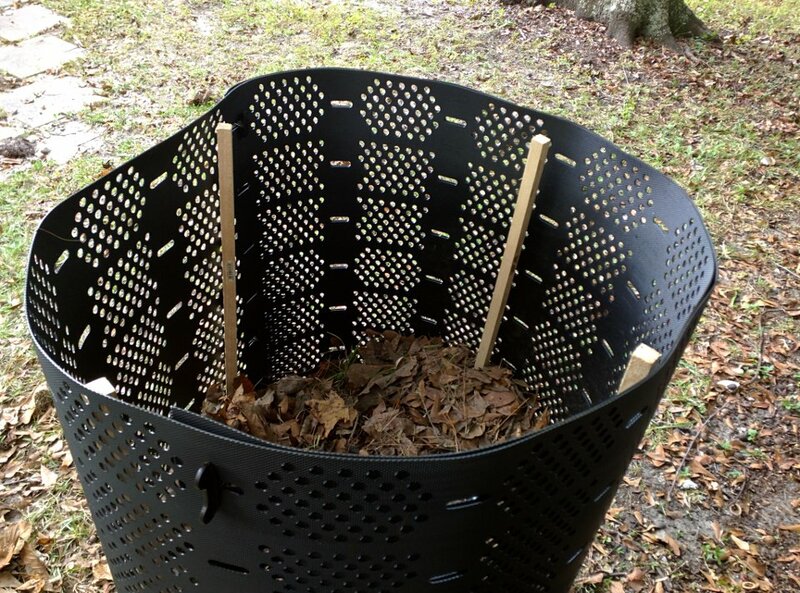 When you compost, the items that can’t be recycled or composted really stand out. A few of them inevitably make it into the compost bin and you find them many months down the road when everything else has become rich black soil around them. Natural materials either break down, or they are usable for generations. Disposable plastic items aren’t really part of the natural cycle, and they really stand out as a result. When I turn my compost pile and I feel the dirt between my fingers, I know that I’m looking at what my body will eventually become, and knowing that I’m part of a grand cycle even older than the planet on which I live gives me a deep feeling of peace and serenity. Composting is one of my sacraments. It’s my very pagan expression of grace.